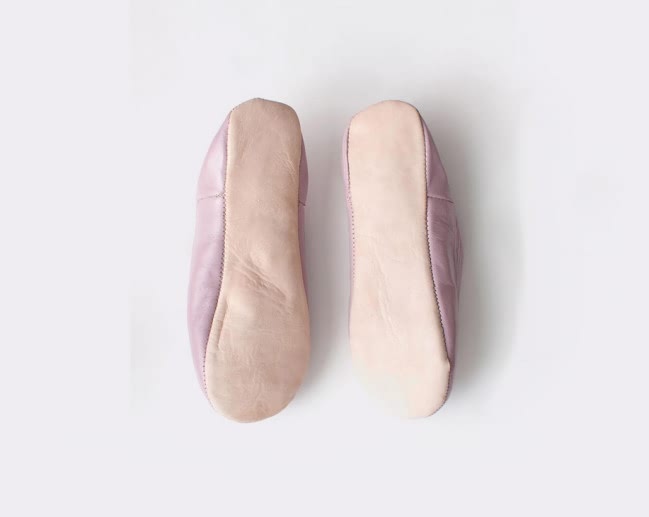 Bespoke leather slippers in soft pink leather. Handmade in Morocco using the traditional techniques of skilled leather artisans, these leather slippers are the ultimate home accessory and the perfect gift. 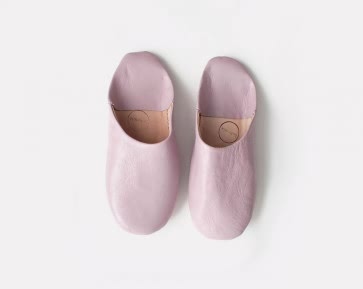 Please note these slippers have a soft leather sole and are for indoor use only.